Training-online.eu provides the Catalog search engine to allow self paced learning ad users may search for the courses and enroll themselves. As the user enrolls the course to study, its visible in his MyStudy page of your LMS platform. 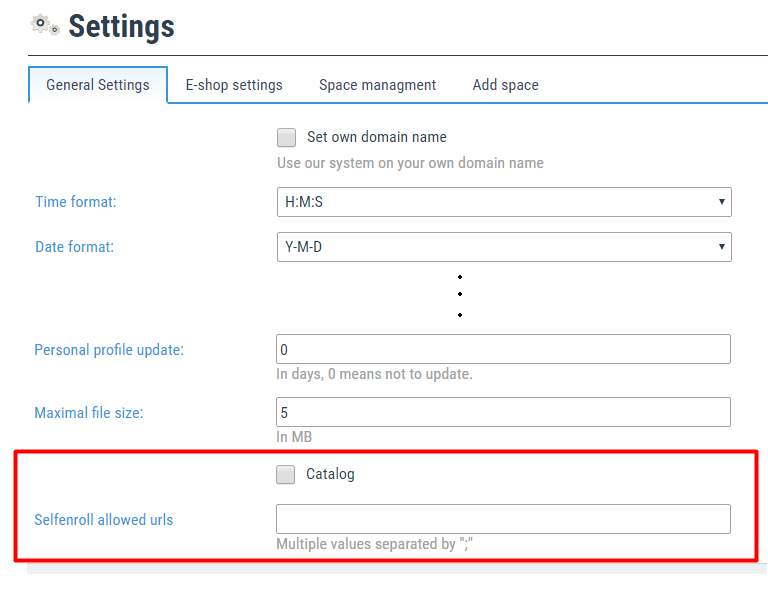 login as an admin, go to settings and mark the Catalog checkbox. 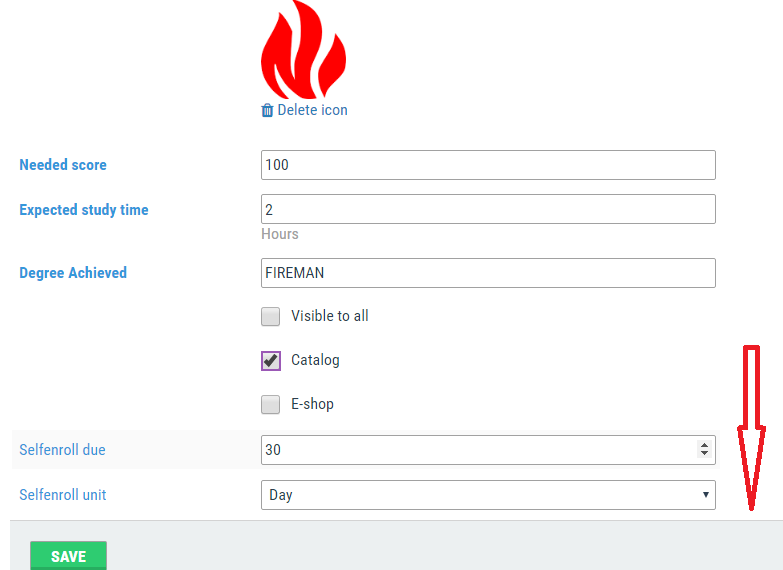 The Catalog functionality is switched off by default and you need to turn on by clicking the checkbox. 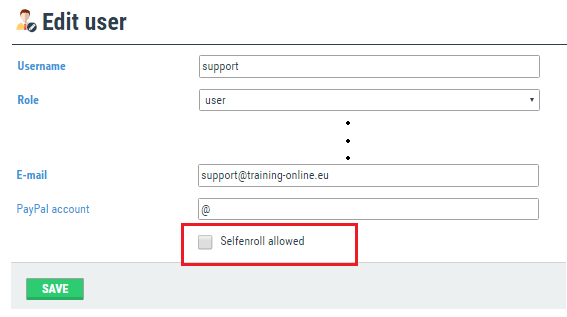 Selfenroll allowed URLs mean that users who makes an registration themselves and fill in the email address which is same with the domain name in the field Selfenroll allowed URLs, is automatically set to see and use this function. 2. As you turn the Catalog on, it will become visible to all internal users with the Selfenroll rights. a. As you create the brand new course logical unit there is a checkbox to Catalog display. 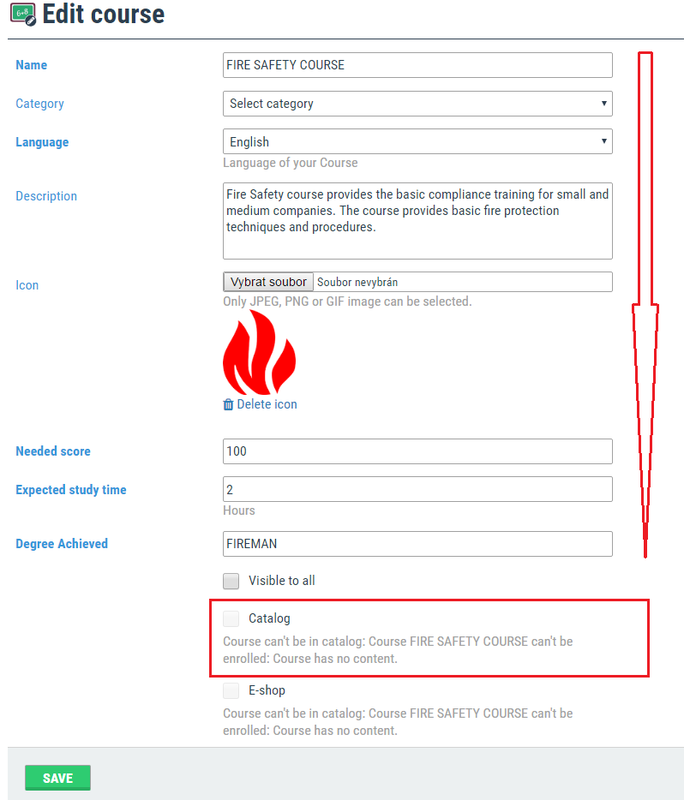 The checkbox is active only in case there are some lessons included in the Course. To resolve this, save the entry, add lessons and go back to Course edit mode. b. If you open courses with existing lessons, the Catalog checkbox is active. For cases of some lessons with questions, there must be also at least one question. i. Category – will help users to have a better orientation in your offering. There is a list of predefined areas you may select. Your eShop shows only the entries that are used in some course(s). iii. Selfenroll Due – is the time value for which will be the course available for the study. All the email notifications related to the due date will calculate with this value. d. Each user with Selfenroll rights may see the Search icon and perform the search and enroll. 4. Now the courses are searched and may be selfenrolled by the users.